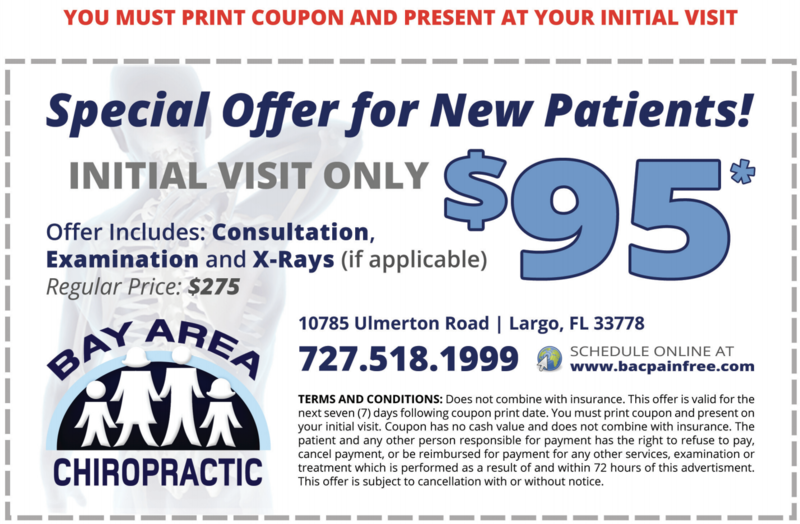 Bay Area Chiropractic is a state-of-the-art chiropractic wellness facility serving Largo, Seminole, Clearwater, and the surrounding beaches. We focus on the true wellness lifestyle. Unlike conventional medicine, which focuses on treating the disease once it occurs, Bay Area Chiropractic emphasizes a natural approach to improving your health in an effort to reduce the risk of pain and illness. Have a question? Click here to contact our office. Whether you are experiencing back or neck pain from a sports injury, auto/car accident, or have another debilitating condition, our chiropractic office is here to help. We have convenient hours and a friendly staff that will assist with your health insurance information and make it a seamless process. Love Bay Area Chiropractic, Dr.Z and staff are caring, professional, supportive and completely understanding of my challenges and needs. They have helped me to stay physically active , hiking, playing softball and doing regular workouts at the Crossfit Clearwater Box. Thank you B.A.C. I’m so very thankful for Dr Zurkan. He has helped me so much & I would highly recommend he & his great staff to anyone. God Bless!! I have been going to Doctor Zurkan for years. I have a chronic condition, a result of a car accident many years ago, and when he adjusts me I get total relief. I wouldn't hesitate recommending Dr. Zurkan for any Chiropractic treatments. The Doctor and his staff are awesome. They get to know you by your name. Everyone their is your family. you are always treated with a smile. I love Dr Zurcan and his staff.